Don't miss this hot deal! 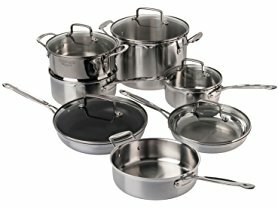 Right now this Cuisinart 12-Piece Stainless Steel Cookware Set is just $119.99 (Reg. $465)! This cookware set features break-resistant glass lids that help to monitor the cooking process.